Cerasaurus, Raptor Herder and Shining Hydra! Welcome back, Ashes players! We hope you enjoyed your preview of the Ghost Guardian last week. Today, we continue the previews of the King of Titans expansion deck. Last week we saw the king himself, Xander Heartsblood and his signature Earthquake spell! Today, we will be diving into the diverse array of dinosaurs Xander can call into battle, as well as introducing a new Ashes mechanic: Mounts! This summon spell has a unique requirement to temporarily remove a ready ally you control from play to make room for a Cerasaurus Mount conjuration, then getting the ally on the Mount by placing it underneath. 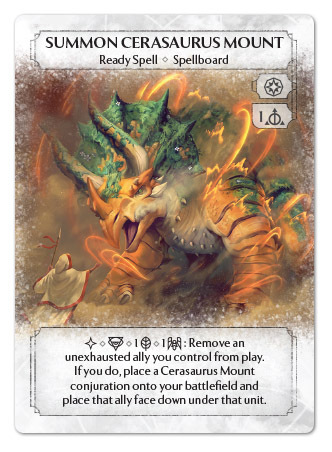 Since this summon spell activates on a side action, you are able to play a main action ally and immediately mount it up, or turn a small ally on your battlefield into an immediate threat by mounting it up and attacking in the same turn! The Cerasaurus Mount is no slouch of a unit. Two class dice for a 3/3/0 statline is one of the best deals in the game, as long as you have the allies to bring them into battle. 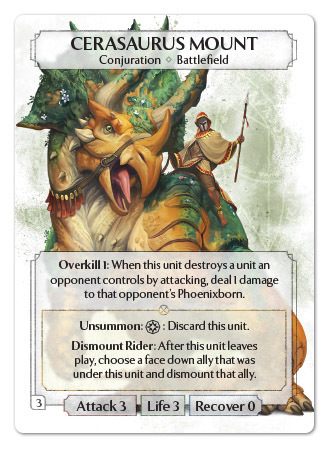 Overkill 1 makes the Cerasaurus a threat to Phoenixborn regardless of how it is blocked in battle. If the tempo, stats, and abilities weren’t enough, behold the power of dismounting your rides! You may spend a main action to Unsummon your Mount, and use the Dismount rules to place the ally that was riding your Mount back into play! 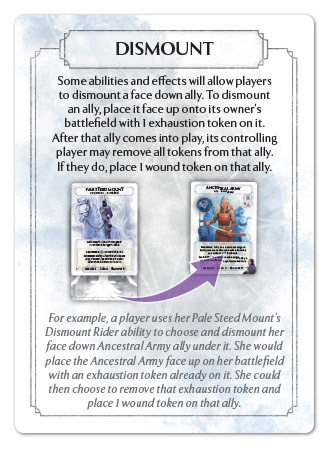 Since the ally was engaged in the fight while riding their Mount, the ally is going to come into play with either an exhaustion token or a wound token when the Mount leaves play. Having a strong ally like Hammer Knight riding on a Cerasaurus is a great way to land two strong hits in a round, or to shrug off the long-lasting, board-clogging effects of control tools like Kneel and Regress! The Cerasaurus Mount is an absolute beast of a dinosaur, but Xander’s friends are able to make good use of some smaller dinosaurs of the realm. The Raptor Herder is a cheap and flexible unit that can be played for natural or sympathy (yes, sympathy) magic! 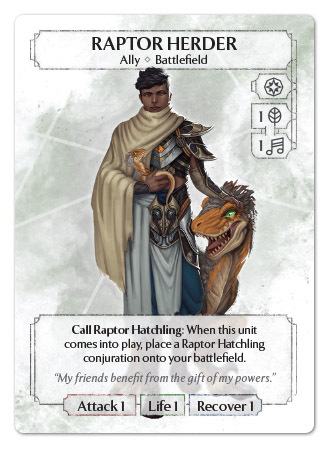 The Raptor Herder is a cheap ally that is ready to ride on a Mount, but will also bring along a Raptor Hatchling to support the cause! 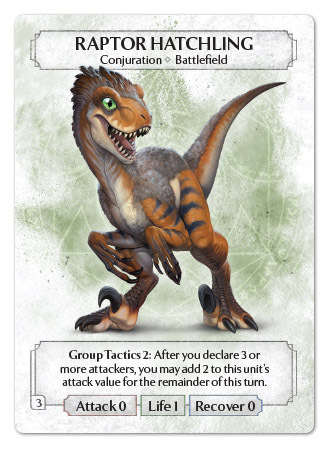 Raptor Hatchlings require some support as they only hunt in packs, but when they are attacking in a group of three or more, they suddenly become quite a mighty threat with an additional 2 attack! 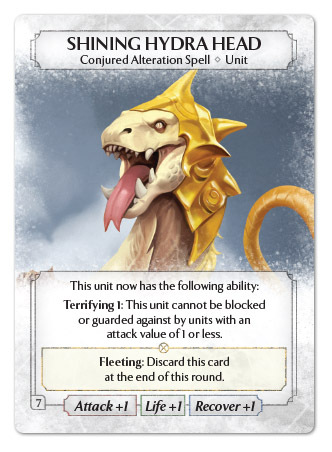 The last beast for today’s preview is the Shining Hydra! 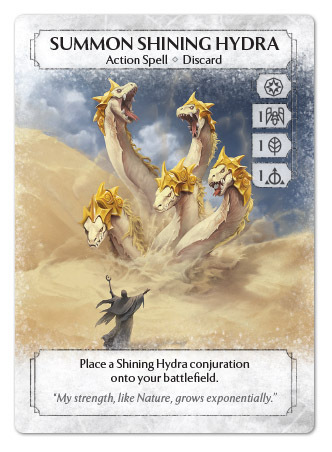 This conjuration is brought into play through an action spell, meaning you’ll be limited in the number of times you can summon a Hydra into play, and they may not be available when you need them most. This temperamental creature is a natural fit for Xander’s force because who can’t have enough giant dinosaurs to fight with? There is additional synergy with Xander’s Earthquake spell that damages every unit in play. Whenever the Shining Hydra survives damage, it is going to grow by adding an additional head! 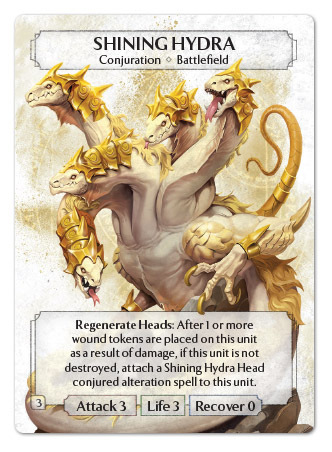 This alteration adds one to each of your Hydra’s stats and adds a compounding ability in Terrifying 1. Each Head that is attached will increase the potency of this ability, making more and more units cower in fear as the Shining Hydra grows! Be sure to take out any opposing Hydras in one fell swoop, or face the wrath of this fearsome creature! Thanks for reading! I hope you enjoyed this jam-packed preview. There is plenty more to discover with the Mount mechanic, so be sure to check back later this week to see the Ghostly Mounts that ride into battle alongside Rimea Careworn! Remember, both decks are available for preorder now! 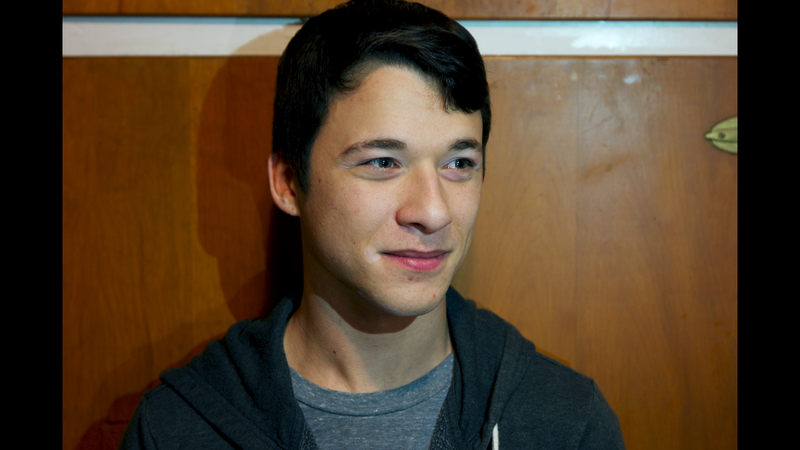 Nick Conley is the lead playtester for Ashes and a dedicated fan. © 2019 Plaid Hat Games. All rights reserved.